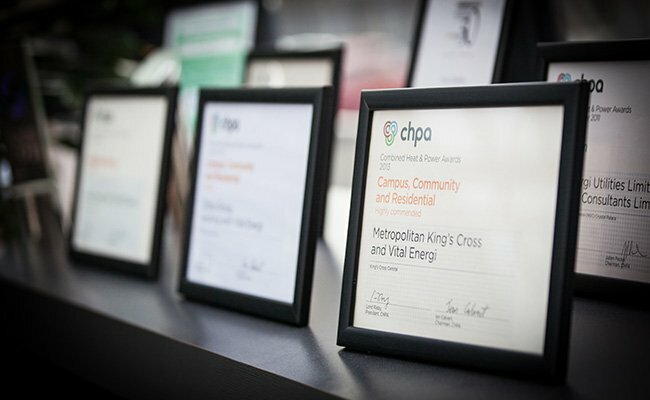 We are currently celebrating after two of our projects have been named as finalists at the upcoming Association for Decentralised Energy (ADE) Awards. The University of York has been shortlisted in the Campus Community and Residential category. This project saw the installation of a biomass energy solution and an innovative multi-utility corridor, including district heating which will significantly reduce CO2 emissions for the campus, which has undergone a large expansion over the last 10 years. Our second finalist is Cheltenham General Hospital in the Integrated Technologies category, which is a joint entry with our sister company Vital Efficienci. This project was procured through the Carbon & Energy Fund, which involved retrofitting a CHP energy centre and installing a range of energy conservation measures. This project will save Gloucestershire Hospitals NHS Foundation Trust over £10 million and almost 40,000 tonnes of CO2 emissions over the course of its 18 year contract. Vital Energi would like to congratulate all the other fantastic energy projects who have been shortlisted for an award and wish them luck for the big night on the 25th November.